The BBC has a lot to answer for. When it launched the iPlayer, it created a high watermark for quality on-demand services in the UK. Channel 4 and ITV's catch-up offerings in comparison looked terrible and were not fun to use. Thankfully, things have finally changed. 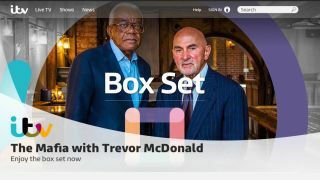 Channel 4 rebranded its on-demand service as All 4 back in March and now it is the turn for ITV, with the arrival of ITV Hub. ITV Hub is the destination for all of ITV's digital content. It replaces ITV Player (good riddance) and is a service that's available online, in app form and on selected streaming platforms, such as Amazon's Fire TV. There's no word on Chromecast or Apple TV yet, though. The look of ITV Hub is a lot easier to get around and better looking than ITV Player and the onus is as much on watching ITV live as watching the catch-up content that is available through the service. Those ads are still there, however, so you will have to wait through pre- and mid-roll advertisements to watch your shows. But that is how ITV makes money, so we aren't going to berate them too much on that. ITV May may want to change the area on the mobile app that says 'ad' though. Users might think that's just another section for advertising, when it's actually programmes that are available with audio description. The ITV Hub is available to download as an app and view online now. Love Netflix? Then you will love the 25 Best Netflix Shows.